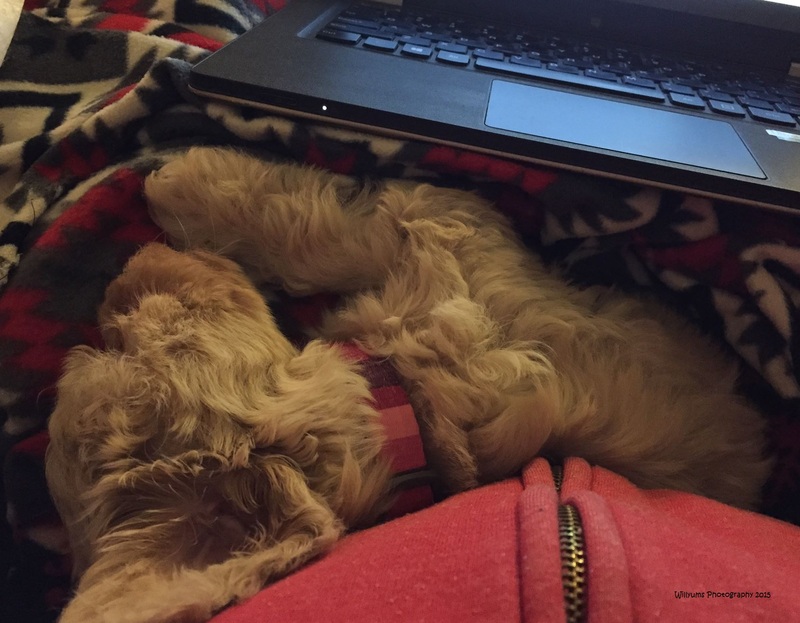 Helping boys understand adoption….with a puppy! When I held up a tiny 4 pound puppy to the car window, eager squeals of delight erupted. I handed in one puppy and then another. National Adoption Day. In honor of my three adopted brothers, we brought home from a shelter two sister Cavadoodles. It probably would have been more peaceful for my life if that mother had had three girls in her litter, but we’ll just continue to work on “taking turns” and “being patient” and “sharing;” great skills that the boys rarely like to practice. There’s something so sweet about bringing a little puppy into your life. The pooping on the floor is not so sweet, but the snuggling into your lap and bouncing along behind your feet as you move from room to room can’t be beat. It’s also sweet to watch the boys pick up little Mitsy and tuck into a blanket on the couch, slipping deep into the warmth and rhythm of a sleeping animal. They don’t know it yet, but they are forming a bond with this little lovebug that’s going to change their life. They are experiencing peace and joy and unconditional love. They are accepting a bit more responsibility, altering to a new schedule, sharing their “lovey” with neighbors and cousins, and making a loyal friend. They will likely never reflect on or recognize all these “gifts” that a pet brings (until they sit on a couch as a parent and write about adopting a pet), but they will feel it and that’s what’s important. I’m hoping that adopting a little puppy and opening our heart and our home to a new life will also help the rough and tumble boys understand a bit more about their own adoption. That they might understand that a woman gave birth to them but was not able to continue to take care of them. That another woman accepted them into her arms and her world eagerly even though it meant big changes in her life. That they are loved beyond measure even when they poop in the house or don’t put the toilet seat up. That they started life in a “shelter” situation, but they can live and grow and flourish in this home with their siblings knowing that they will always be loved and welcomed. That a mother is a mother is a mother and a son is a son is a son. The bond we have will not be broken. Love remains forever, for always and no matter what. That’s what adoption means. Of course, since I so clearly have failed at house-training three rambunctious boys, I have no idea why I think I’ll do any better with a teeny tiny fluffy dog. But, hey, we still have years and years to work on this! 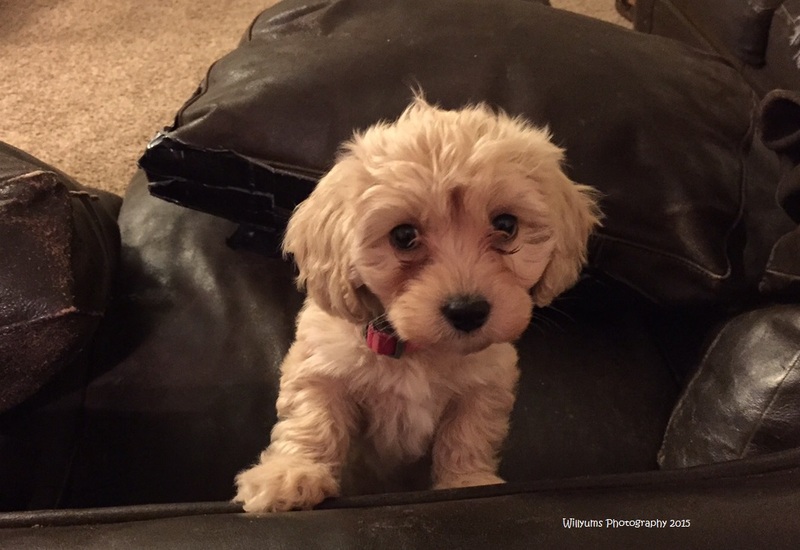 This entry was posted in Adoption, Favorites and tagged Adoption month, animal shelter, Cavadoodle, National Adoption Day, pets, puppy by middleofthemadness. Bookmark the permalink. Grateful for your wonderful words this morning! Happy Thanksgiving to you and your beautiful, rambunctious world!